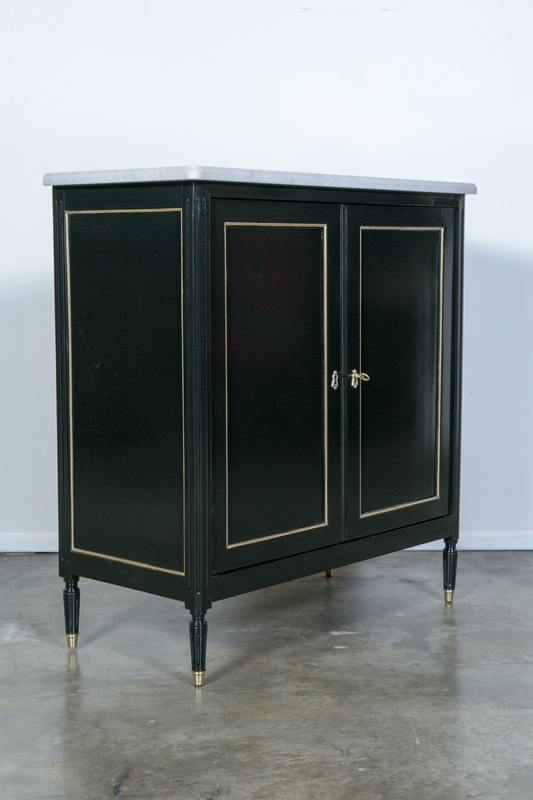 A two-door Louis XVI style buffet in the manner of Maison Jansen, with a fitted interior that includes adjustable shelving, a mirrored back bar area and a drawer for barware. 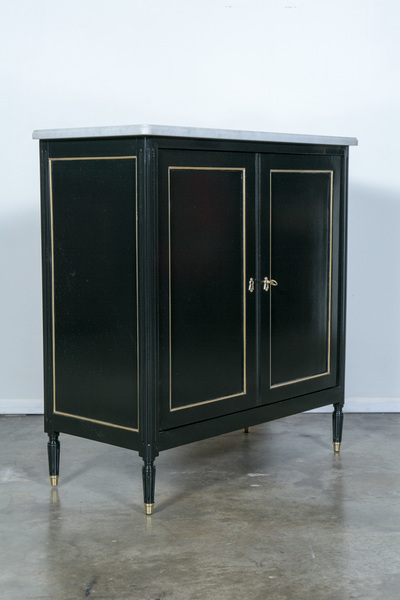 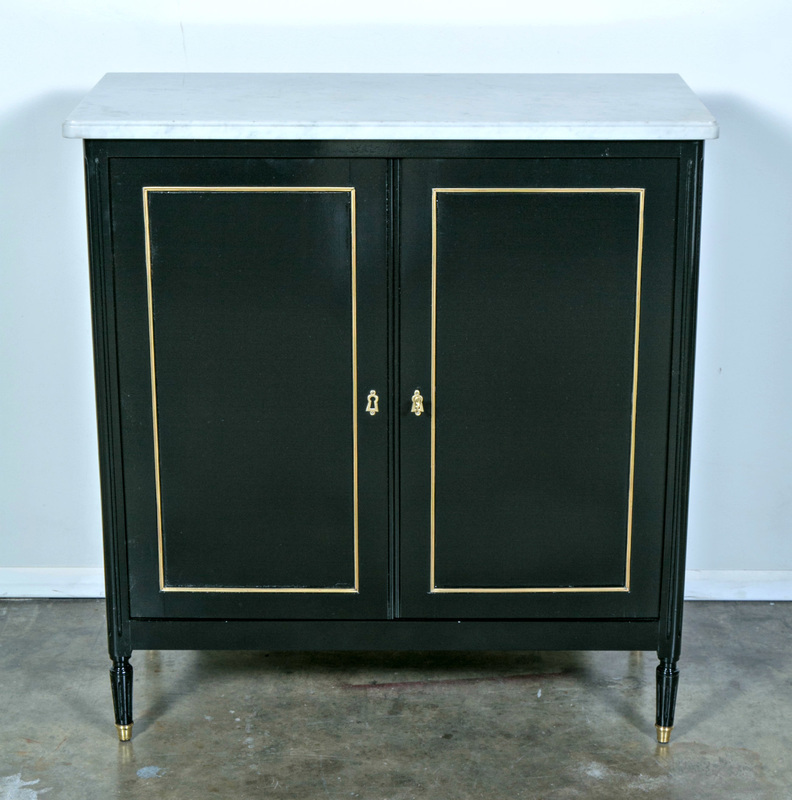 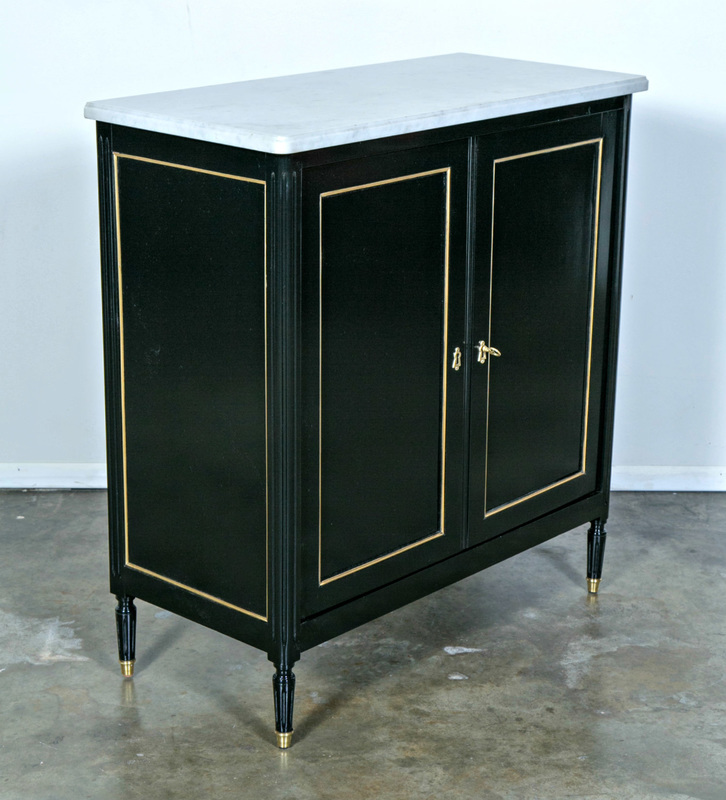 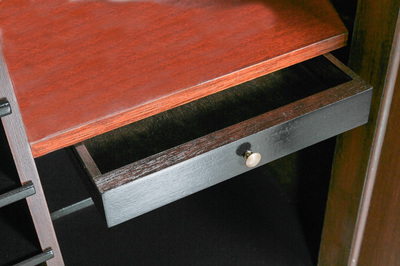 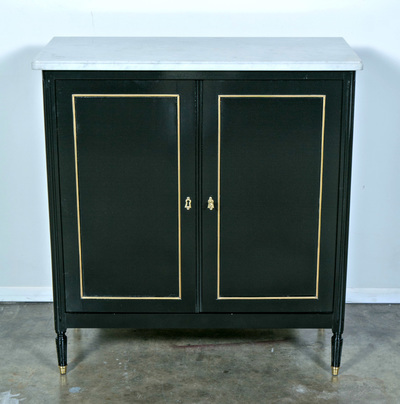 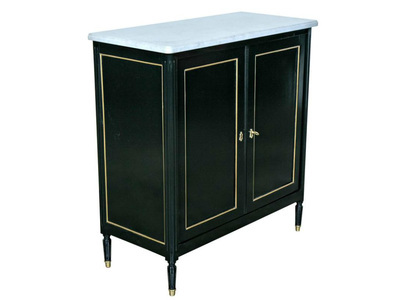 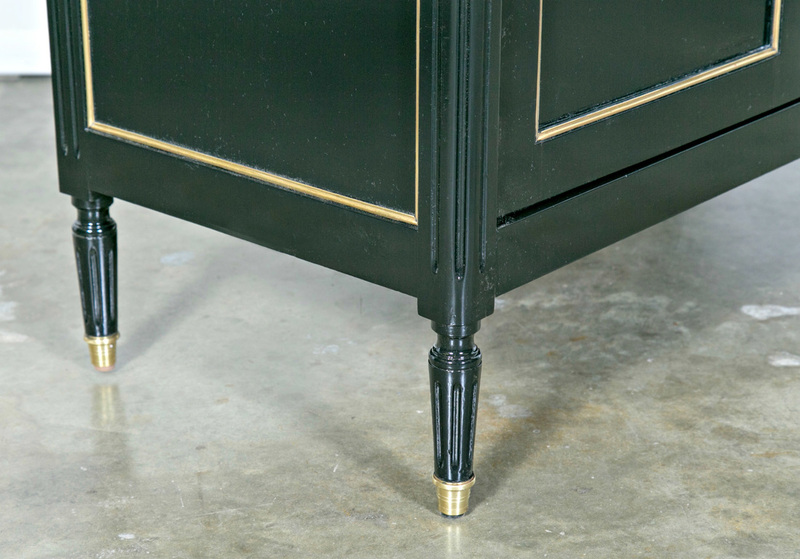 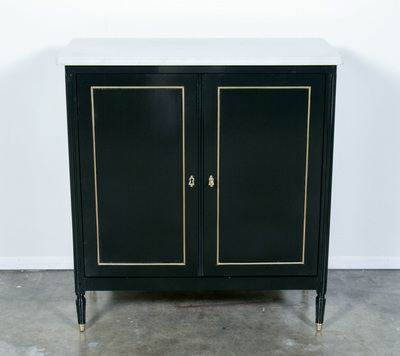 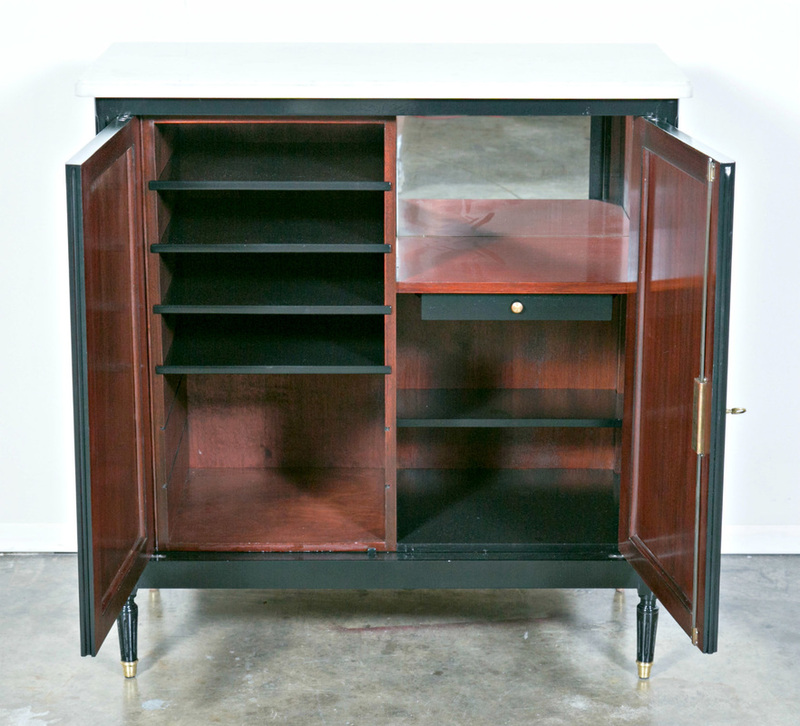 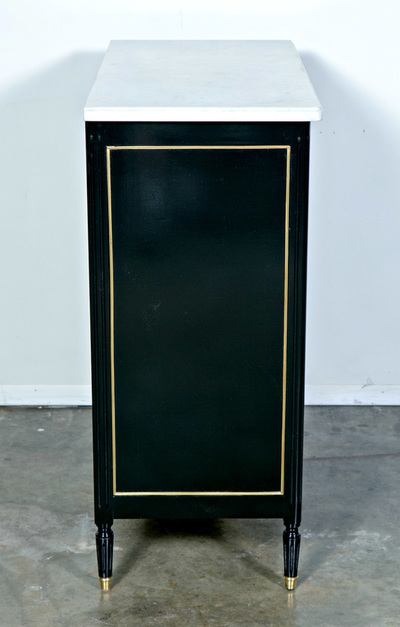 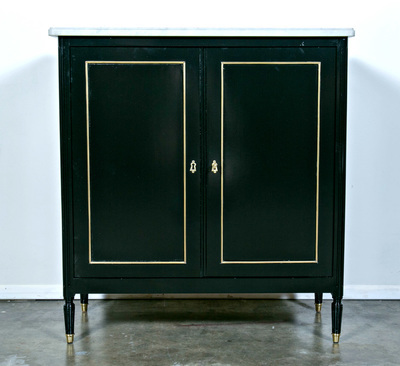 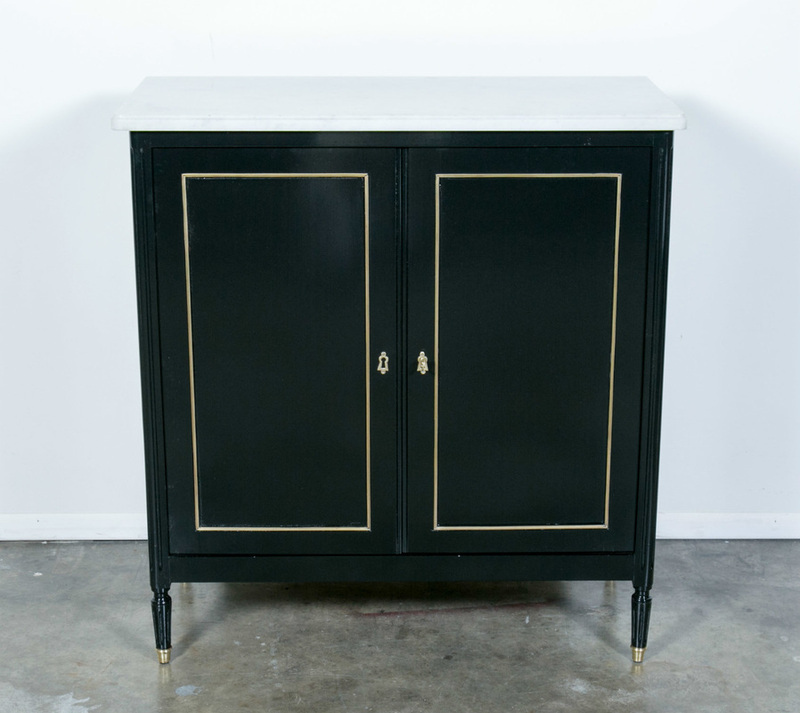 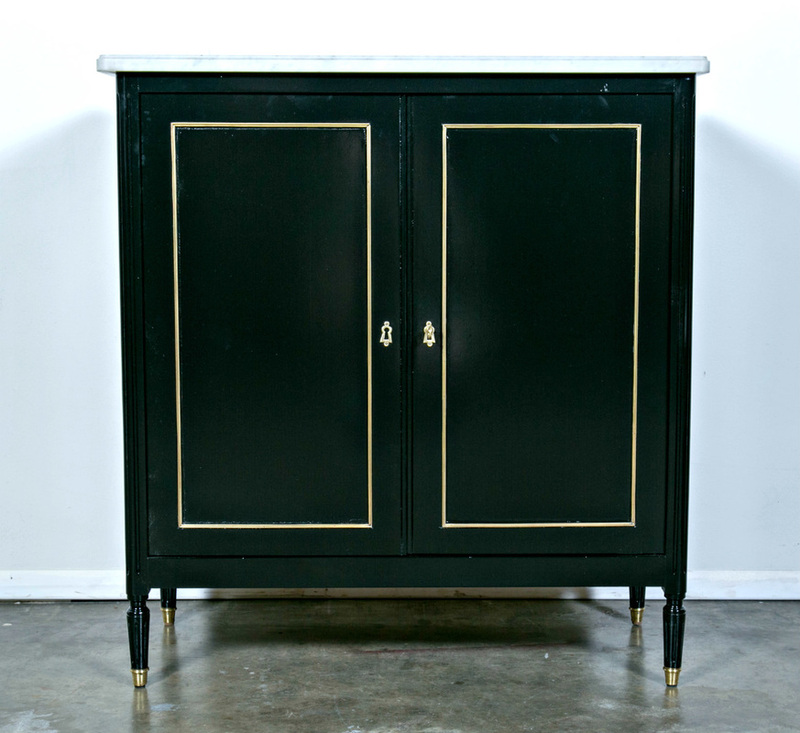 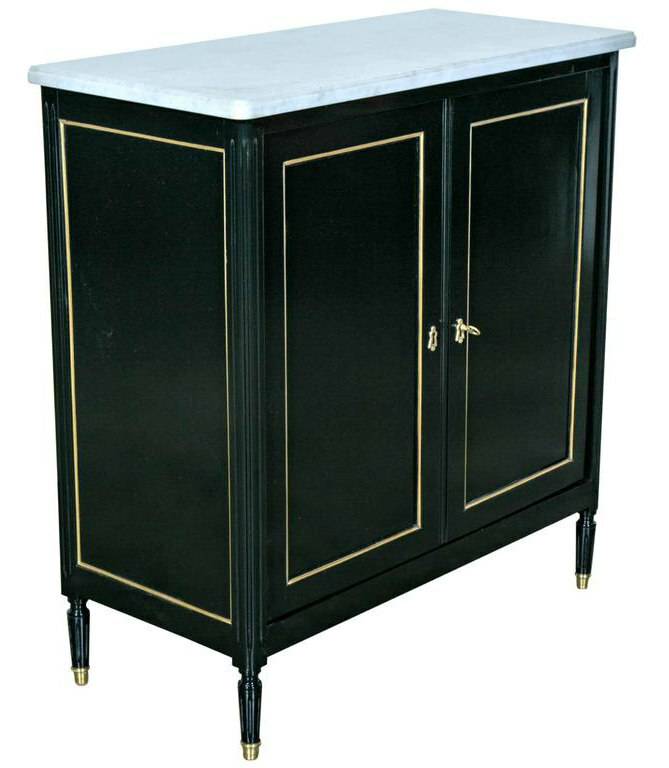 Beautiful solid mahogany cabinet, ebonized with a lustrous French polish having a Carrara marble top and brass trim. 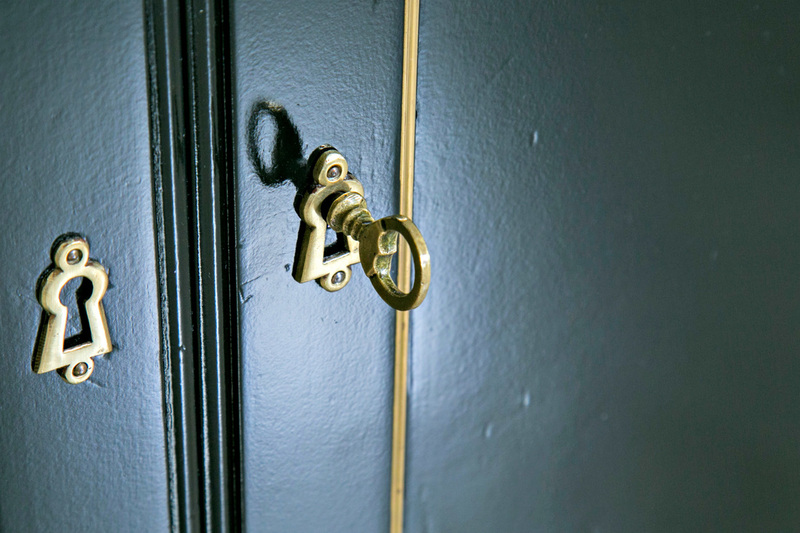 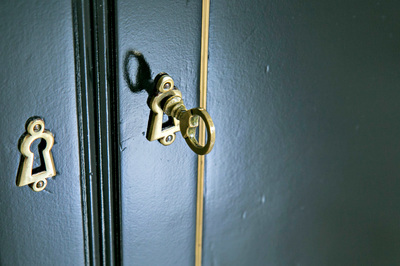 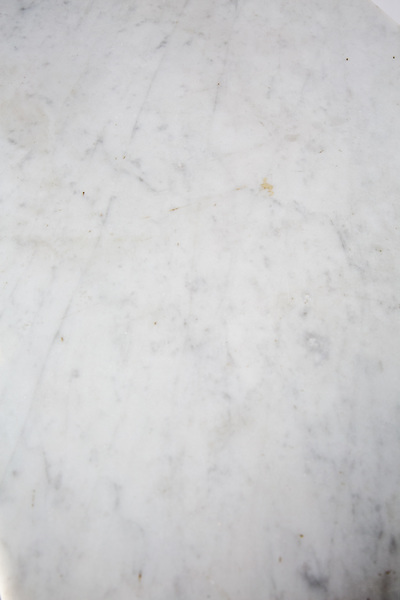 Raised on toupie feet ending in brass sabots.